Boeing [NYSE: BA] has invested in Denver, Colorado-based BridgeSat Inc., an optical communications solutions company enabling the future of connectivity in space through a network of ground stations and proprietary space terminals. BridgeSat is developing a global network of optical ground stations (OGS) to transmit large amounts of data into space quickly and reliably. Its stations support low Earth orbit and geostationary satellite optical communications, enabling secure high-data transmissions from and between satellites, space crafts, unmanned aerial vehicles, and high-altitude platforms. BridgeSat was formed in 2015 to address cost, bandwidth, and infrastructure limitations in space-based optical communications. The company recently announced an industry-first agreement with NASA to develop a commercialized free-space optical communication system that could support the agency’s future missions. Its work also supports regulatory standards for the satellite community. Boeing HorizonX Ventures led BridgeSat’s Series B funding round, with participation by Allied Minds. 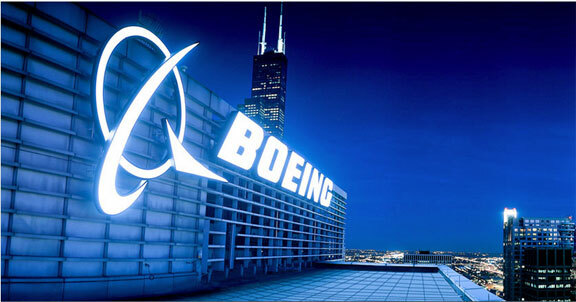 The investment and relationship with Boeing connects BridgeSat with Boeing experts, testing labs and other valuable resources to accelerate the deployment of its OGS services around the world. The intent of Boeing HorizonX Ventures’ investments is to help scale startup innovation in aerospace. Its portfolio is made up of companies specializing in autonomous systems, additive manufacturing, energy and data storage, advanced materials, augmented reality systems and software, machine learning, hybrid-electric and hypersonic propulsion, and Internet of Things (IoT) connectivity. “This partnership will help us lead the digital transition in satellites with technology that provides next-generation capabilities for our customers,” said Brian Schettler, managing director of Boeing HorizonX Ventures. “Enabling BridgeSat to scale their operations accelerates secure, reliable satellite communications around the world." “As we grow our OGS into a global network, this investment will help us meet the need for secure delivery of big data from LEO and GEO satellites at faster speeds, and a lower cost than traditional radio frequency solutions,” said Barry Matsumori, BridgeSat CEO.